An attempted traffic stop by a deputy sheriff followed with a vehicle pursuit lasted several miles but ended safely, resulting in one arrest. 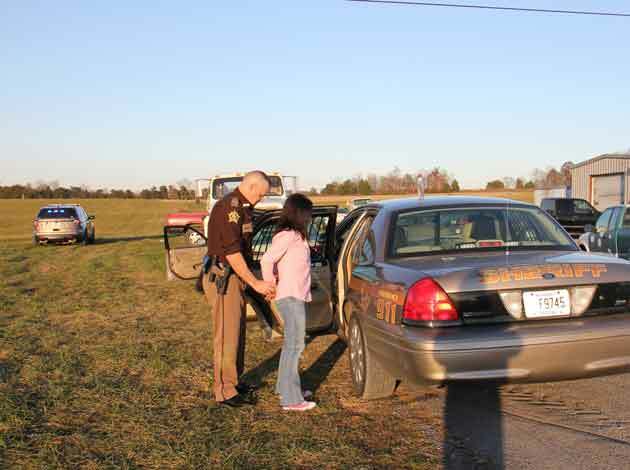 Deputy Joey Keith responded to a reckless driver complaint on Campbellsville Road. He located the vehicle and attempted a traffic stop around two miles north of town. The vehicle failed to stop and led Keith on a pursuit going south on Campbellsville Road. The pursuit continued another four miles on Fairground Street and ended on W.G Reynolds Road. The operator of the vehicle stopped but attempted to flee on foot. She was apprehended after a short foot pursuit and taken into custody. Jennifer Tucker, 31, of Campbellsville, was arrested and charged with fleeing or evading police, 1st degree (motor vehicle); driving under a DUI suspended license; reckless driving; and possession of an open alcohol beverage container in a motor vehicle. Deputy Keith was assisted on the scene by Sheriff Harrison Moss and the Kentucky State police. Jennifer Tucker was arrested and accused of fleeing from police officers after an attempted traffic stop.